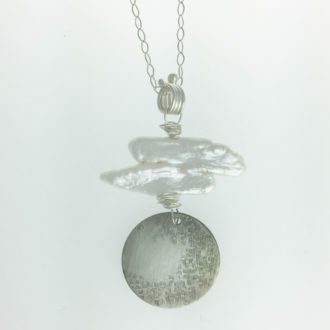 Triple disc pendant, in graduated sizes, from 7/8” down to 5/8”. I hammered my raw silk pattern on alternating sides of each Argentium Silver disc. 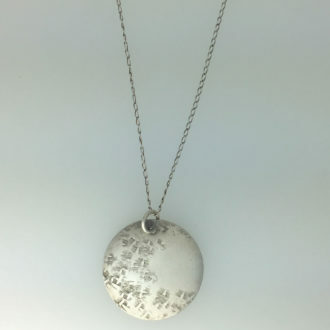 The 16”Sterling silver rolo chain has been given a darker patina to accentuate the discs.